Law Office of J. M. Cunha P.A. The Law Office of J.M. 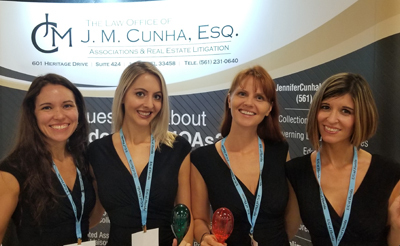 Cunha has quickly become a leader among law firms serving homeowner and condominium associations throughout Florida. Specializing particularly in governing document updates and efficient and effective collections, our firm provides a tailored approach to your community’s unique needs, recommending cost-effective strategies to our clients. We also assist our communities with a resolution-oriented approach to rule enforcement and fair housing matters, and clear, cost-effective guidance letters. Jennifer Cunha provides more than 20 CE certified courses for CAMs and board members throughout South Florida on topics such as background checks, demystifying governing documents, fair housing matters, and even how to navigate the world of Section 8 rentals. To inquire about the Law Office of J.M. Cunha P.A.’s services, please call (561) 231-0640 or visit at www.JenniferCunhaLawOffice.com. 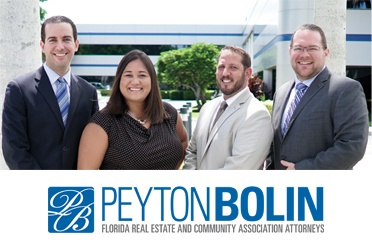 For more information on PeytonBolin PL, call (877) 739-8662 or visit www.peytonbolin.com. 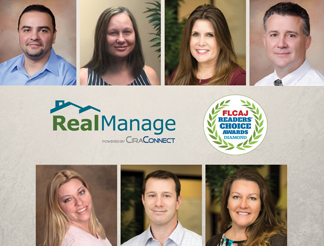 RealManage Florida is proud to be named as an FLCAJ Readers’ Choice Diamond Winner for three consecutive years. RealManage Florida is a full-service HOA and condominium management office with all the technological advantages you need along with the hands-on and local approach you want. Communication, transparency, and support are our top priorities. We understand the importance of getting an answer when you need it, and we deliver the personal management touch your community deserves. In addition to our personal touch approach, our boards have access to the association information 24/7. Contact us today to learn how we can make your life on the board easier and more effective. For more information on RealManage, call (866) 403-1588 or visit www.realmanage.com. 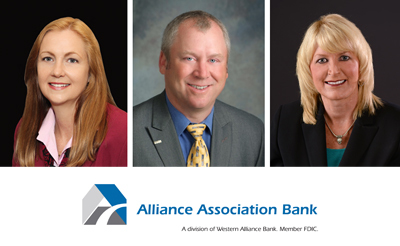 Alliance Association Bank (AAB), a division of Western Alliance Bank, is the premier provider of deposits and loans to associations and management companies across the country. As an industry-specific bank, AAB works with clients in more than 40 states, offering high-tech customer service. Our banking services fully integrate with most accounting platforms and are designed to create efficiency and increase revenue. We offer fee-free FL lockbox and competitive loan rates and terms. AAB’s team of professionals has more than 50 years of industry experience and manages more than $2.3 billion in deposits. Western Alliance Bancorporation (NYSE:WAL) is ranked one of the country’s top-performing banking companies, coming in at #2 on the Forbes 2018 Best Banks in America list. McLeod’s Construction, Paint & Restoration LLC is a certified and insured Florida general contractor located in Fort Myers, Florida, specializing in commercial painting, stucco repair, concrete restoration, waterproofing and sealants, epoxy floor systems, new construction, and much more. 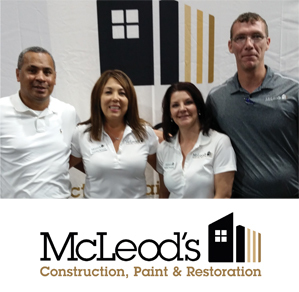 McLeod’s Construction, Paint & Restoration LLC is family-owned and -operated and has proudly served Southwest Florida communities since 2005. We have built our reputation for exceptional quality and service on the principle of doing the job right the first time. We use high quality materials and paints, and our application specialists are trained and certified to perform the work. We work closely with business owners, property managers, and association boards throughout the project and provide thorough communication to ensure a smooth experience from start to finish. For more information on McLeod’s Construction, Paint & Restoration, call (239) 282-0891 or visit www.mcleodsconstruction.com. 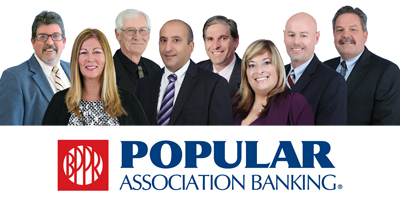 Popular Association Banking (PAB), a division of Popular Community Bank1, exclusively serves the community association industry. Since our inception in 1994, we have assisted more than 6,000 associations with more than $3 billion in loans. PAB continues to be a nationwide leader in providing loans to community associations for needed repairs and capital improvement projects, with an active lending platform in 31 states. Highlights of our loan program include personalized service, flexible loan structures, and competitive fixed rates up to 15 years. In addition to financing, PAB also offers a full array of depository services, including lockbox and cash management. Our association specialists work to customize the most beneficial solutions to meet your association’s financial needs. Our service level, industry knowledge, and reputation are the cornerstones of our success. For more information, call (800) 233-7164 or visit www.associationbankers.com.